Original title – Prowadź swój pług przez kości umarłych. I read flights but one thing and another last year I never reviewed it which was a shame as I really liked it as it turned out it was well reviewed and my little review would have been a small piece in a larger yes for the book. So when I was sent her latest to be translated I decide I pull my finger out and review it as soon as it came out. 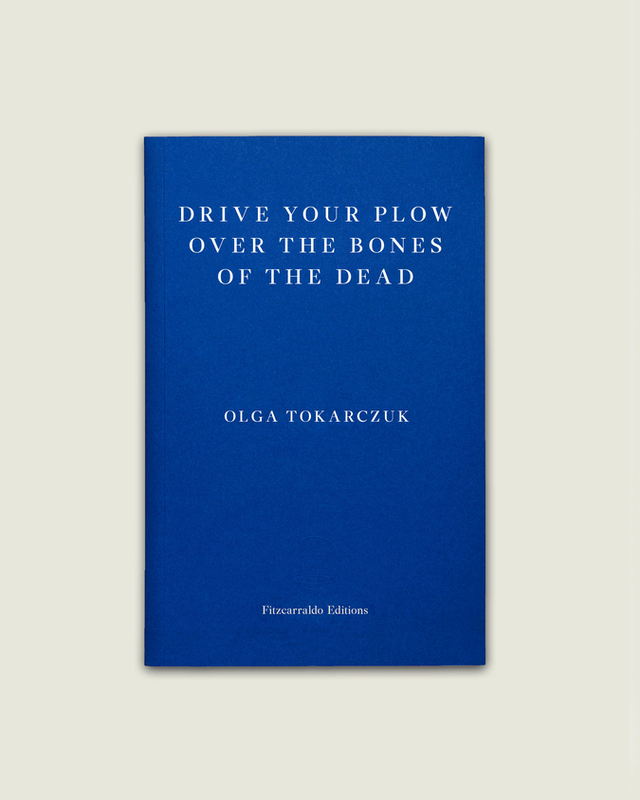 Olga has been writing since the late 80’s and has twice won the NIKE prize in Poland which is their version of the Man Booker prize. She also won the Man Booker international prize last year. This book is very different to flights. The naming of Big foot occurred in a similar way. It was quite straightforward – it suggested itself tp me when I saw his foor prints in the snow. To begin with. , Oddball had called him “Shaggy”, but then he borrowed “Big Foot” from me. All it means that I had chose the right nam for him. Unfortunately, I couldn’t choose a a suitable name for myself. I regard the one that’s written on my identity card asscandalously wrong and unfair- Janina. I think my real name is Emilia or Joanna. Sometimes I think it’s sometimes I think it’s something like Irmtrud too. Or Belldona. Or medea. The use of names bring the human characters near the animals in a way. The book opens with the main character Janina Duszejko a sixty-year-old that is a translator of William Blake, works at the local school. She also is interested in Astrology ad loves her animals. She is with another local Oddball at the home of another neighbor Bigfoot a local hunter who has died. In bizarre circumstances choking on a small deer bone. The two of them dress him before the police come. But they can’t explain the animal footprints around the dead man and the exact cause of his death. Now for Janina, this seems like the animals are maybe getting the revenge she even starts seeing this in the stars she likes to read the signs she says are in the movement of the planets. This idea grows when more local hunters and people that abuse animals start turning up dead around the local Valley. But the valley has also changed in recent years this is told in a long spoken warning by Janina. Then Janina tells the police but they think she is just an old busybody. Who is the real killer? The dog of Bigfoot miss his master. I like this it had a piece of classic Noir. In other places, it drifts into Magic realism as Janina sees the Animals doing the killings as she sees how the stars have written what is happening in the way she is reading them. I also felt echoes to classic crime writers the use of Endless night by William Blake which is also used as a title for an Agatha Christe novel. The busybody nature of Janina is rather like Miss Marple if Miss Marple had been written by Gabo she’d have been Janina reading the stars and living in her own world of Blake. But she starts to scare her pupils with her ideas.This questions on what we would do if the animals did turn on us we have seen this in other media over the last few years the tv series Zoo that saw animal turning on people. But the nearest comparison for me was the video for Queens of the stone age video No ones knows which saw a deer attacking humans. This is a thought-provoking work about the changing world of hunting how we treat animal development in rural areas. Add to that The words and thoughts of William Blake a man that had a lot to say about good and evil. This is a novel that subverts crime and noir and uses a different lead character that isn’t a detective but at the heart of the events happening. One of the publishers over the years I have discovered is Archipelago. I have reviewed a number of their books over the years and have brought a lot as they are so pretty in their design. 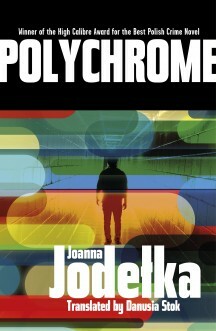 Magdalena Tulli is one of the writers from them I hadn’t tried and this short novella seemed a great intro. Magdalena Tulli is a writer and translator she has been five times on the prize list for the Nike prize in Poland (the polish Booker Prize), this book was one of the books to make that prize list. Left to prey to foreign forces, stitchings filled with stories that previously no one had ever heard or wanted to hear. In the house of pleasure, in the downstairs parlor, at night officers in jackets unbuttoned in contravention of the regulations fell madly in love, sang. andlaughed; during the day the other ranks were let in through a side door and took the creaking stairs to the second floor. They thronged the poorly lit corridor, wreather in cigarette smoke, grasping metal tokens in their sweaty palms. The town is change by Germans , this passage remind me of the Brel song Next where a soldier loses his virginity. This book follows a small town in Poland Stitchings a town where time stands still even thou the world moves on around them.We follow the town over the period pre world war one to pre world war two. This story tells little tales of the multitudes from the workers in the main factory their Loom and son and the two other big factories in the town. German invaders the officer and the ranks their impact on the town both during the war and afterwards. The creation of Poland is proclaimed after the war to the citizens of the town. A young woman who has to decide between the two most eligible bachelors in the town. This is an odd world like that of say Dylan Thomas llareggub full of dark characters that are touched with a bit of magic realism but also the dark realism of that period of history. The men left after the war have little hope in stitchings . I liked this book it is in the spirit of the likes of Calvino and Saramago that fine line between realism and magic realism. Stitchings is a surreal mix of dark characters that like fireflies in the night appear for a second then disappear as death hovers over the town itself. We meet folks then they die it is a strange place. 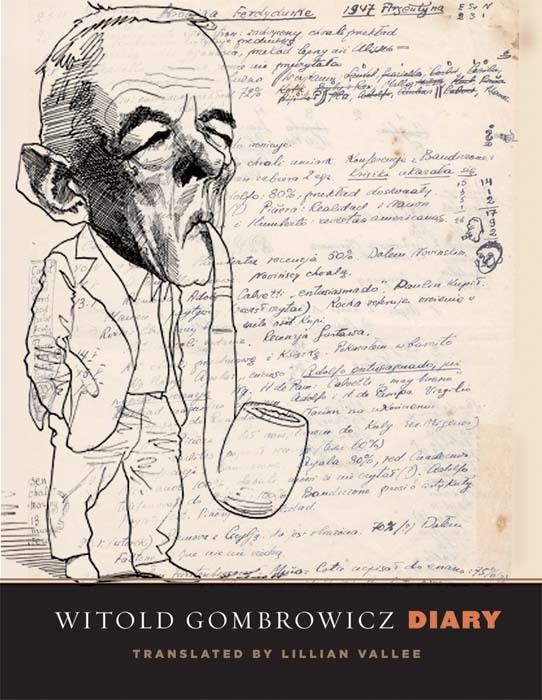 But I felt in a way it is an attempt to capture the madness the encapsulated Mittel Europa in those first forty years of the twentieth century. Where lives burnt brightly at times and lives were short at times. I enjoyed Johnson translation he managed to keep the feel of this being magically real at times. The spirit of how a town is shaped by war and death is what Tulli tries to show here and that is what works it is about the place rather than the people in way. I choose to jump this up my books to review I only finished it this morning it is another tale of childhood like the previous review and also like tha has a slightly Fable like stories in it . 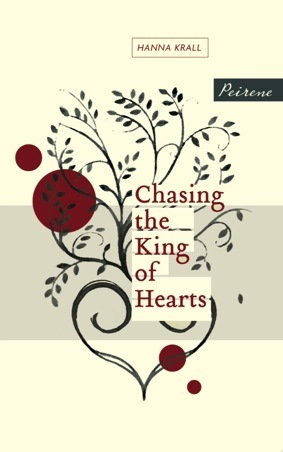 Wioletta Greg grew up in the Jurassic Highlands of Poland , where this novella is set she left in 2006 , she is a poet as well as a writer she won the Griffin poetry prize for her poetry this is her first novella to be translated to English . Disobeying my mother , I started sleeping with Blacky, Blacky smelled of hay and milk and had a snow-white map of africa around his neck. He would come to me in the night, lie on my duvet and start purring, kneading the covers like dough under his paws .Ever since I found him up in the attic we lived in a strange state of symbois. I’d carry him inside my jumper like a baby, steal cream for him from the dresses and, on Sundays, feed him chicken wings from my soup . THe cat she has Blacky which disappears as quickly as he appeared in the attic . This as I said is the story of a childhood , one must assume it is some what from Wioletta’s own childhood . It follows Wiola a young girl , she has a cat that she likes to have slept on her bed even thou her mother has vowed this shouldn’t happen the cat Blacky mysteriously disappears one day , She also likes to collect Match labels this nearly gets her into trouble after she takes them into school for a show and tell. Then they have the excitement of Pope John Paul visiting his homeland and they are told he may go through their village in his popemobile .These are a glimpse of a childhood , in the background we see Lech Walsea and then when the strikes keep happening through Wiola eyes we see a change of regime when Jaruzelski took control of the Government in 1981 when her favourite tv show isn’t shown more a speech by the General on what is happen Martial law see through a childs eyes not quite getting the full view of what is happening. The year the pope may have come to the village they open a zoo, I remember the roundabout zoo on League of gentlemen . 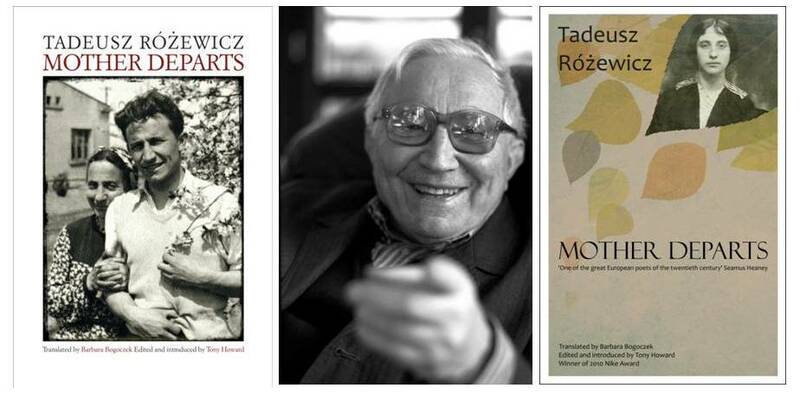 This is a childhood of a child growing up in Poland , but I was remind how much of what Wiola said about the Poland of the time I remembered . It seems another world now where British tv showed news of what was happening in Poland at that time I still remember without even looking up the face of Lech Walsea and General Jaruzelski. This is full of a love of the place but also a sense of the darkness in the background . Wioletta style of writing is rich like that of Herta Muller full of colour and place the village life and characters we meet jump of the page. I said I jumped this up the review list as it was similar in nature to The brothers where we see a world through a childs eyes a fable like world These are fragments of her past the style is rather like Laurain the french writer in a way the both evoke the 80’s which is why both grab me , as their memories are intertwined with my own of the times as they are from my own youth when here we took more notice of the outside world than we do now.The title was changed but I like the view of the original one Unripened fruit at the time of fruit picking rather like Wiola in her world not quite an adult in an adult world . A M Bakalar or Asia Monika Bakalar was born and raised in Poland ,spend summers in a small town .She has studied English at university , worked as an English to polish translator .Since 2004 she has lived in the UK after a number of years in the US and Germany ,this is here début Novel that she has written in her second language English . 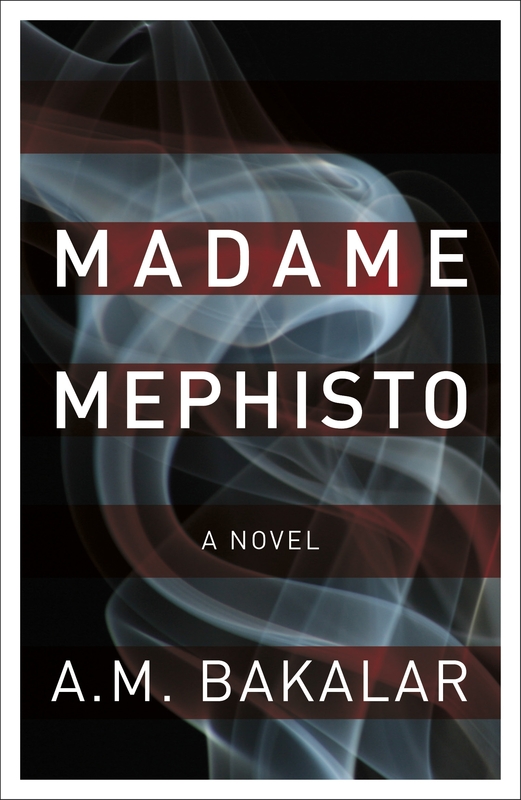 Madame Mephisto is the story of Magda ,who is Magda ? Well she is a Pole that came to Britain ,like many of her fellow country folk ,after Poland joined the EU to find a new future in Britain .Her story is a story that could happen to any one of them .Especially as we all take wrong turns .So Magda arrives in the UK starts and finds herself drawn into a world of importing drugs from abroad .As she does this she finds she actually is rather good at it and becomes more and more involved and climbs the ladder in the drug underworld .Then a family incident draws her back to her homeland and maybe some how facing who she has become . “There was a complaint against you” Jantjes told me two weeks later at his place .He was my first link to the cannabis business I was yet to establish in London . Do you have a favourite book written by a writer in a second language ?